For the last year or so, Logitech's Gaming division has been on a redesign tear, updating every PC gaming-specific peripheral with new styling, features, and internal hardware. The G500 (the older version of which is the fan-favorite G5), got a bump up to the G500s in 2013, but now a completely redesigned version is coming this month. 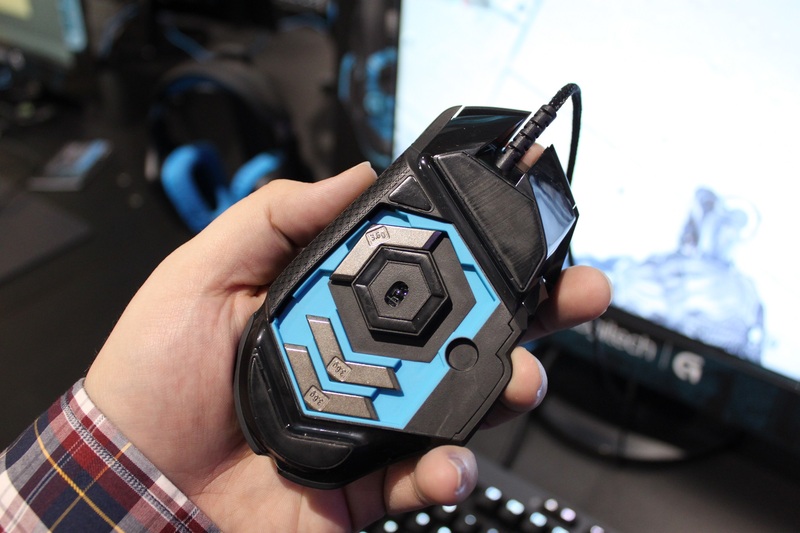 Like the G500 and G500s, the G502 "Proteus Core" is a wired, right-hand laser gaming mouse, a description that fits many a-gamer's mouse of choice. 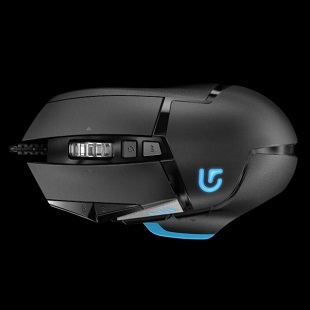 What separates the G502 from the pack is the available/optional sensor calibration, and weight system. 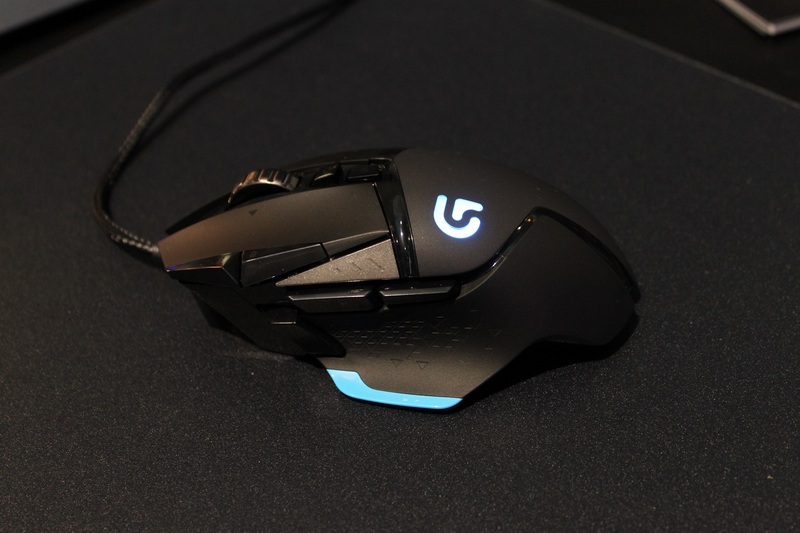 And the design phase of the G502 is of particular interest. Starting with the numbers: The G502 has a laser sensor that can ramp all the way up to 12,000 dpi. The sensor can supposedly track at very high speeds (300 inches per second) and forces (up to 40G's), while maintaining full accuracy. The weight can still be adjusted to your taste, thanks to the included set of five 3.6-gram weights that live on the bottom of the mouse. The sensor can be made even more accurate by tuning it to whichever surface the G502 will be used on. Preset tunings are included in the software for two of Logitech's gaming surfaces, and you can create custom tuning for your desk, or mousepad/surface of choice. The calibration takes all of ten seconds to complete. New tech aside, Logitech hasn't deviated very far from the right-handed mouse shape that PC gamers have loved since the days of the MX510. There's added surface area where your thumb naturally sits, which should keep most of your hand from touching the surface below, but it seems to maintain the same general contours found on the G400s, G500s, and their predecessors. The button layout is the same as the G500s as well -- 11 programmable buttons, with the default dpi changers next to the left-click button. There's also a dpi Shift button under your thumb, which allows (via the driver software) you to drastically ramp dpi up or down while the button is held down. That same driver software can create up to three general profiles, each with up to five dpi settings (including Shift), and profiles can also be created for installed PC games. When you boot up Battlefield 4 or League of Legends, the G502 will switch to the appropriate, customization profile. The release of the G502 was timed with PAX East, and it's available now for $79.99. If you're a fan of the G500s and its predecessors, it's definitely worth a look.